AIM Sniffer is a handy network utility to capture and log AIM (AOL Instant Messenger) chat from computers within the same LAN. It supports not only messaging through AIM server but also direct connection messaging. All intercepted messages are well organized by AIM user with buddies and shown instantly on the main window. It provides rich-features report system to export captured AIM conversations as HTML files for later analyzing and reference. Akeni Enterprise Instant Messaging IM is an enterprise messaging system that offers strong encryption, along with Active Directory / LDAP integration. You can also add the Akeni Social networking Software and Intranet Portal on the same LAN network. All messages can be logged into flat files and databases to allow for searching in your. Akeni Help Desk Assistant can be used with Akeni Enterprise Instant Messaging IM. Help Desk Assistant is a feature rich live help system that allows visitors to your site to chat with sales and support staff in real time, without the worry of costly long distance phone calls. Can be used with Akeni Social Networking Software. Visitors just need to click on the "live help" button to chat without having to install any software. Akeni Live Help 123 for Corporate Instant Messaging (IM) is a feature rich, live help system that can be integrated with Akeni Social Networking Software. Sales and support staff can interact with customers in real time, without the worry of costly long distance phone calls or the delays of antiquated e-mail systems. Visitors just need to click on the "live help" button to chat without having to install any software. Akeni Social Networking Software, Intranet Portal and Group Chat for Business. Integrated instant messaging, forums, blogs, file upload, channel, in/outboard, bookmarking. The main difference between Akeni Space's Chat and a public instant messaging systems such as Yahoo Messenger, MSN Messenger, Google Talk and AOL Messenger(AIM) is that every chat message is stored permanently in a centralized database. Change your voice to match anyone, adjust age and gender, tone and pitch. 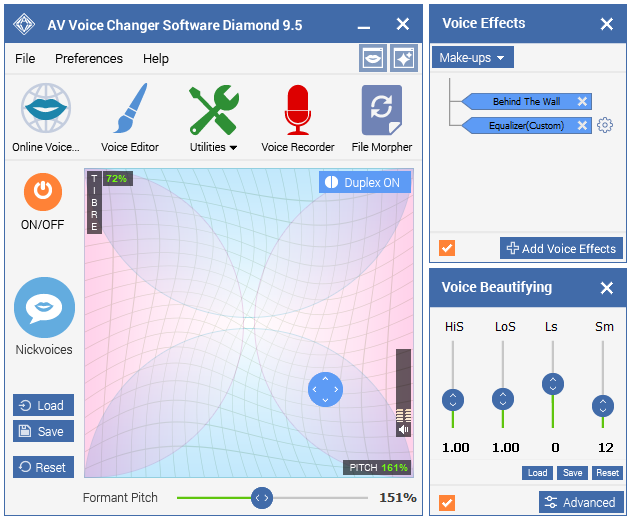 The advanced voice morphing controllers provide easy fine-tuning. 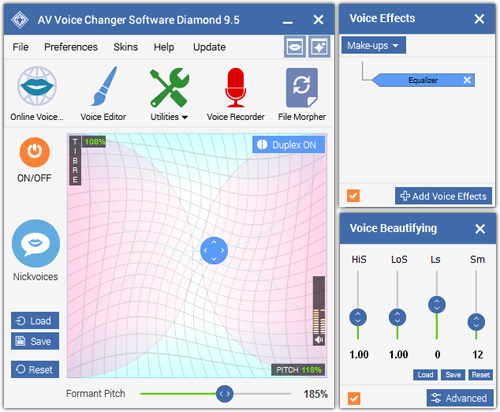 Users can create/mix parody voices, and use the voice comparator to suggest suitable voice similarity settings. The program supports most audio formats, including mp3, wma, wav, ogg, etc., and is compatible with most IM and VoIP applications, in-game chat systems, and media players.